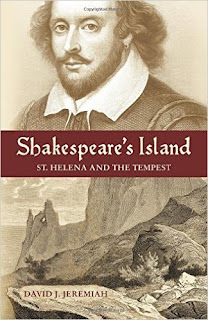 Shakespeare’s Island – Saint Helena and The Tempest is about the early history of the island of Saint Helena and how it influenced Shakespeare when writing The Tempest. David lived and worked on the island for over six years and his wife Joy is a Saint Helenian. The Tempest is about the effect that being on a small island has on people. David’s preface suggests: ‘The Tempest explores how people react differently to new experiences following their arrival on a small island. Some are changed as a result, some remain resolutely the same, and others seemingly find themselves possessed of a compulsion to address (positively, they would say) issues that only they can see the answers to.’ David saw this himself over the years and recognised it as the underlying theme of The Tempest. He then realised that characters and events in the play actually reflected characters and events in the early history of the island. Saint Helena enjoyed a higher profile in Elizabethan and early Jacobean London than it does today. There was a wealth of material available to Shakespeare, including in travel narratives that he clearly used in some of his earlier plays, including Twelfth Night and Macbeth. 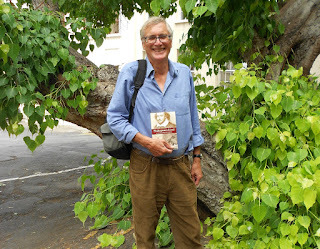 David argues that some similarities between what was known about Saint Helena and the text of the play are too close to be explained as mere coincidences. The Tempest is one of only three plays written by Shakespeare that has no identifiable literary source – which makes discovering what inspired Shakespeare to write the play all the more intriguing.